Puddles of Myself: Puddles of My Mad Men: "Signal 30"
As usual, I am posting the link to my Mad Men recap at the Montreal Review in order to try and grab some more traffic numbers for Puddles of Myself. 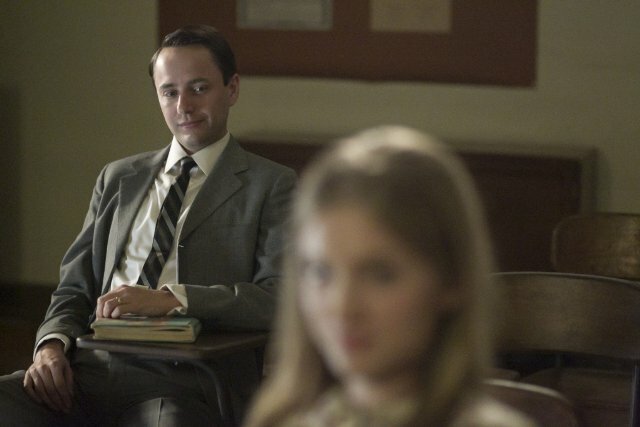 I am going to write a more Puddlesesque post about "Signal 30" later this week or even next week because it was one of my favorite Mad Men episodes of all time. I literally felt like crying at certain points of the episode because it just felt so real and so true. The ultimate sadness at the end of the episode when Pete watches "Handsome" feel up the teenage girl from his driver's ed class, was just absolutely crushing. It was a foolish and ill-fated flirtation but Pete was placing so much meaning on it—so much meaning that you as a viewer, watching "Handsome" slide his hand in between the girls legs during the class, felt a similar crushing defeat that was clearly evoked on Pete's face. Then, you pair that with voiceover of Ken Cosgrove writing his short story based on Pete's sadness and suburban entrapment and you are left stunned as the credits come up on the screen. It was a singular television experience and it certainly rests in my top five along with "The Suitcase," "The Wheel," "Shut The Door, Have a Seat," and "The Hobo Code," (that last slot could be filled with "The Gypsy and the Hobo," "Maidenform," or "Tomorrowland" as well). In any case, "Signal 30" just proved why Mad Men operates at a level that is so much higher than any other show on television. Read my Montreal Review piece and I promise I will give you the goods with my "bonus" thoughts on the episode here at Puddles of Myself later on in the week.